Some of the DSG Senators for the 2016-2017 school year! 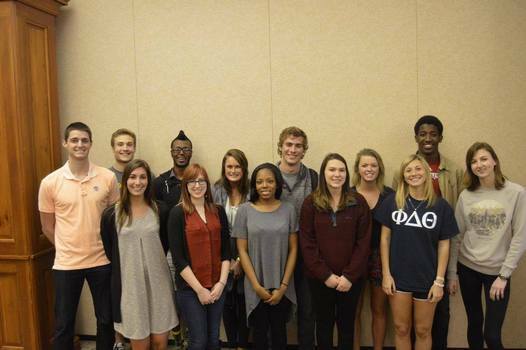 The DSG senate is comprised of 20 students that represent the student body. Student Senators are responsible for writing DSG legislation, hearing concerns from each respective senator's grade level, and hosting class events throughout the year. Each spring, the student body elects 5 senators per class to create the senate for the upcoming school year. The student senate meets every Sunday night from 7-8, and meets monthly in a joint session with the Student Representatives. Senate meetings are open to any students.